Please note: I’m busy moving blogs, and copied this content over. The image links are going to break, if they haven’t already. It is what it is. A talk I gave at Green Drinks: Bernelle Verster, 18 September 2011. It’s still a favourite. 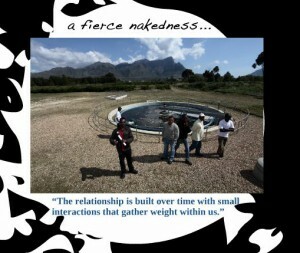 Creating Community -what a bioprocess engineer is learning about life, tameness and our attempts at ‘sustainability’. Bernelle believes an integrated approach to education, waste management (a subsection of ‘sustainability’) and economic viability is achievable. As curator of TEDxCapeTown, she enjoys creating cooperative relationships between entrepreneurs, philosophers, creatives, academics and other beautiful people and exposing them to Ideas Worth Spreading. Together with public participation events like TEDx, she believes social entrepreneurship can be used to create positive change in the paradigms prevalent in society today. Firstly, thanks to Helene Smit, Candice Pelser and Justin Beswick for the discussions that are contained in this presentation. Specifically, Helene for the concept of ‘Beneath, Between and Beyond’ and Candice for the closing phrase. I also draw from practically all the presentations at TEDxCapeTown held in April this year. Opinions, misunderstandings and errors expressed are my own. My story doesn’t start here, but it has a special relevance to the path that I am on at the moment, and I would like to share it with you for a while. 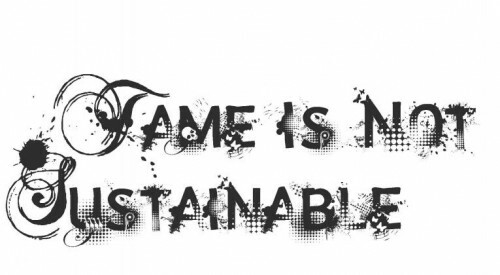 prelude: sustainable – if a relationship is ‘sustainable’ I’d rather get out, thanks. A better term for me is dynamic non-equilibrium, but for the purposes of familiarity, I’ll stick with sustainable, in the fuzzy ‚’everything will be OK’ definition. 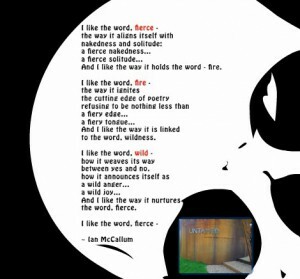 And I like the way it holds the word – fire. I chose to work in water because I was getting a bit paranoid that we’re heading into some rough times (I still am), and I thought, if it all goes bottoms up, where are we most naked? It didn’t take long to figure out that we need clean water, and my skill set complemented this nicely. I also love what I do. Once I was in the field, I also realized that the water industry at large is incredibly vulnerable. We have more water to clean and more contaminants to take out of it, but less space, less time and less money to do it in. It is also not a well-supported industry, and is fraught with politics. Add to that, it is an incredibly conservative industry with very little in the way of sustainable business models. I don’t want to talk about this today, but this places what I try to do into context. My research is focused on producing a biopolymer – polyglutamic acid, PGA, (the polymer form of the flavourant MSG, or mono-sodium glutamate, or, mono-glutamic acid) from very dilute, dirty water. This polymer is the same gloopy stuff found in the Japanese foodnatto. PGA can be used for high volume applications such as hydrogels, which could be used in biodegradable, disposable baby nappies; flocculants, a replacement for the alum chemicals currently used in cleaning water, as well as low volume, very high value food and medical applications – like the natto foodstuff, food flavourant, the stuff that makes cosmetics feel so silky and gelly-like, and medical sutures. The big problem with the biological version of these products is that it is too expensive to produce at scale. So while it may be environmentally sustainable, economic sustainability is still poor. So my research is focused on producing it cheaply. The main costs in bioprocesses are the raw material, as well as the energy involved. This energy mainly goes in preparing the process: most of these processes occur in a sterile environment, and cleaning up afterwards. Other costs are purification and product formulation. Many engineering processes choose off-the-shelf ways of producing something, and only think about dealing with how to clean it up afterwards. Developing the process as a whole, with the units taking care of each other is still quite novel, but it’s happening. I’m the type of person who wants it all, wants it all to be perfect, and want to invest the minimum amount of blood, sweat and tears to get it there. So I went looking for an abundant raw material that no one wants, and would preferably pay me to get rid of it. I found two things – glycerol waste from biodiesel production, and sewage. Sewage, or wastewater, is generally very dilute. 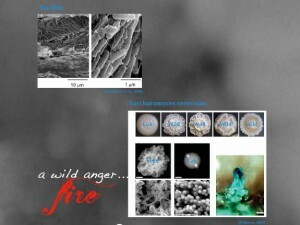 It’s flows and concentrations changes the whole time and there are invariably things in that are toxic to my bacteria. I have to develop a process that doesn’t need controlled, predictable conditions, but still produces the product you want. This is like saying you want the same productivity a monoculture cropland full of wheat can give, from an untended field of weeds next door. Likely? Not always, but you might be surprised to find, that it can be. What we need to learn to do, however, is to give up control, quiet our cleverness and work with Nature – the principles behind Biomimicry. The Land Institute – Wes Jackson and Jon Piper has shown that they can get similar yields from ‘prairie crops’ – herbaceous, perennial seed bearing plants – than monocrops, (Biomimicry book by Janine Benyus, p 11- 25, roughly). Relevant to my research, the concept of Microbial Community Engineering, work done by Mark van Loosdrecht and Robbert Kleerebezem at TU Delft, the Netherlands. I first started thinking about going wild when I read about Biomimicry, and when I visited Mark’s group in June this year, I was sold. I’m going wild. This granule you see here, measuring a bit less than 1 mm across, is the basis of Mark’s technology, called aerobic granular sludge, which I abbreviate into AGS, and if you see my facebook going on about Agnes, this is she. Sortof. I can carry on forever about this technology, and if you’re keen I’ll go on a bit after the talk. Much of what we know, scientifically, are based on conditions that are entirely irrelevant to nature. For environmental biotechnology, like bioremediation and wastewater treatment, this is important. Question everything. Apart from being tougher and more able to survive, the reason why I want wild Bacillus is that the PGA is found in these strands that bind the bacteria together, and they are less prevalent in the tame strains. Not all wild Bacillus strains produce PGA, and the ones who do have noticeable presence, or even dominance in a stressed environment, like oil fields, very salty places like the salt lakes in Kenya and heavy metal contaminated rivers. This suggests that PGA fulfills an ecological function that gives these bacteria selective advantage. It is likely also to be a carbon and nitrogen storage compound too. This is important in the dynamic environment of wastewater biorefineries. At the moment I am developing a reactor system that favours my organism, a bacterium called Bacillus, to produce this product PGA, in a non-sterile environment. I am basing it on what we know already from wastewater treatment, using Mark’s concept of designing processes based on enrichment cultures, where the desired product must also have a role in microbial ecology. To this selective reactor system I am adding the concept of product recovery -designing the system to take the purification of the product into account from the beginning. We call this ‘wastewater biorefineries’. 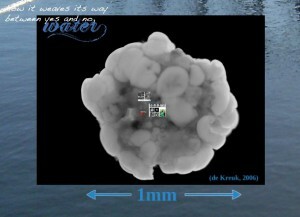 This bacterium already occurs in wastewater, and I will not modify it any way. In fact, I don’t even care if my bacterium survives. 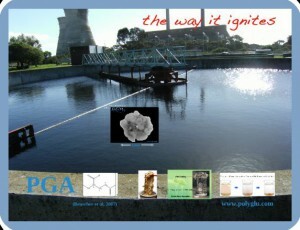 I want a bug in my reactor system that is happy producing PGA as dirty water flows by. I am engineering its environment so that it is happier than the other bugs, but not excluding their presence, because they have value too – specifically with regards to complete nutrient removal (to give a stable and robust reactor system). My process is a small cog in this bigger system. However well it works, it will still need significant investment, and operator training, and it won’t work so well if we dump chemicals in the water the way we currently do. The bigger system needs work, and the number one tool to achieve this is public awareness, and working together. Technology is awesome, and fun, but it is a small part of the bigger picture. No one person, but each one of us TOGETHER can save us. Enter TEDx. I decided to do a TEDx event because I was faced with a very specific challenge: How to get people outside of the water industry interested in the water industry – how to make innovation happen outside of the boundaries of any specific (e.g. the water) industry. I needed the public to be aware of the crisis without being paralysed by it. 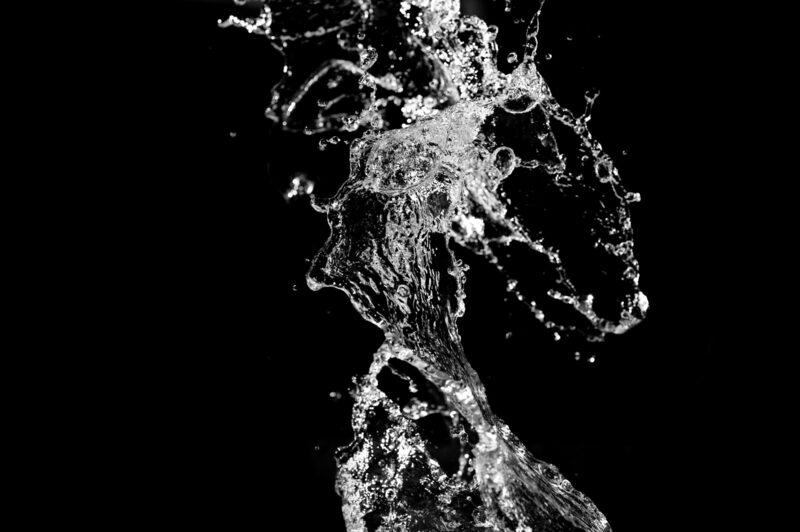 The theme ‘Be Water My Friend’ – a quote from Bruce Lee – pulled water slightly out of context and drew in the qualities of water, especially with regards to entrepreneurship. A little bit of give and take. Never giving up, but going with the flow; being adaptable. 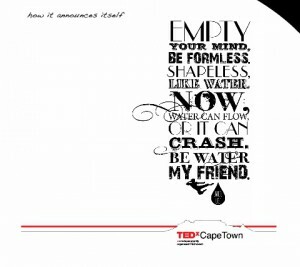 In celebration of Water, TEDxCapeTown took its inspiration of technology, entertainment and design from water. Water is life. 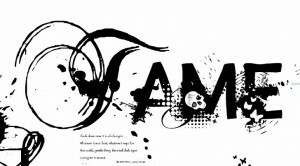 Life adapts and evolves, and Life creates conditions conducive to life. To have a successful business, lifestyle or philosophy, we need to create conditions conducive to our own efforts, without compromising those around us. Water is not enough. 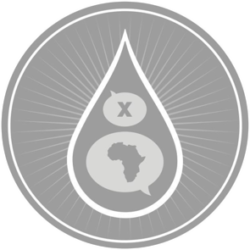 Having successfully run TEDxCapeTown in April earlier this year, we were frustrated by the lack of diversity in the crowd, and the limited reach the event had. To maximise the potential that TEDx events can have on a broader community, we have decided to introduce the concept of TEDx to one of our communities that has less access to such opportunities. TEDxMfuleni happened last Thursday, themed ‘Creative Community’. Ultimately, the goal is to spark off a number of these events in all sorts of communities across the Cape Town metropolis. 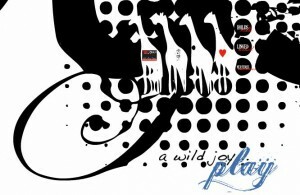 13. a wild joy… play. Eventually, we want to develop a value system – a self-organising principle – to allow people from all backgrounds to take collective action to achieve a deep connection with themselves, each other and Nature. This must happen in business, in our private lives, in governance, in every aspect of our lives. 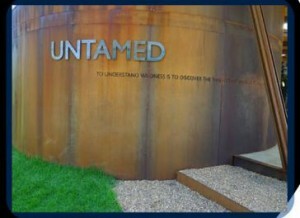 This wish influenced our decision on the theme for 2012. It had to be really broad, wide and as encompassing as life itself. And yet, it still has to be FUN. 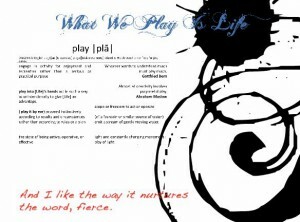 The theme for TEDxCapeTown 2012 is ‘What we Play is life’. 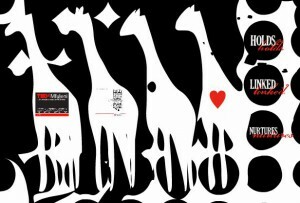 There are many many connotations to the word play – both positive and negative. Abraham Maslow mentions that ‘Almost all creativity involves purposeful play’. I put the play bit here because this looks like a music note to me. And seeing that we’re busy with the Rugby World Cup: Life is a team sport, let’s play it. I want to end with another poem, or a part of it. It’s an excerpt from MILKWEED by James Wright. I printed it on my first set of business cards, many years ago. And, while this is not the end of my journey, I feel that, while I did not know then what attracted me to this poem, now I have come full circle. We are part of nature, it loves us. The time is ready to love ourselves and acknowledge that nature loves us too, if we’ll let it. 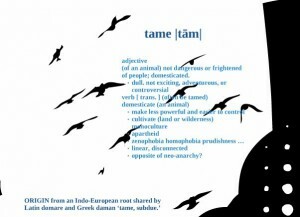 We need to let go a little, go with the flow, embrace non-equilibrium, become a bit more wild, to become ‘sustainable’. I look down now. It is all changed.